Wondershare Dr.Fone for iOS – The World’s First Complete, Safe and Easy iOS Data Recovery Solution for iPhone 7, iPhone 7 plus, iPhone SE, iPhone 6s/6 (plus), iPad Pro, iPad Air 2, iPad Air, iPad Mini 4, iPad Mini 3, iPod Touch 5, etc. It can recover data from iOS devices, iCloud backup and iTunes backup. Panicked due to deleting text messages, photos or other data by accident from your iPad, iPod touch or your iPhone? Did you damage or break your iPod touch or iPhone, which had important data on it? Has your data been removed because of a failed update? even lost your iDevice? Get the doctor in! No matter why your data’s in jeopardy, Dr.Fone for iOS gets it all back on iPhone, iPad and iPod touch, including the iPhone 7, iPhone 7 plus, iPhone SE, iPhone 6s, iPhone 6s plus, iPhone 6 Plus/6/5/5S/5C/5, iPad Pro, iPad mini 3, iPad Air 2, iPad Air, iPod Touch 5/6, iTunes 12.x and iOS 9.3. Retrieve data directly from your iPhone, or via its iTunes backup file. Dr.Fone can clearly preview all contacts, text messages, photos, videos, notes, log calls, calendars, whatsapp chat, and more before recovery, and selectively recover whatever only what you want. Dr.Fone can selectively browse and retrieve data from iPhone, iCloud backup and iTunes backup. It recovers contacts, text messages, photos, videos, notes, call history, calendars, voicemail, voice memos, reminders, bookmarks and other documents. Dr.Fone for iOS supports iPhone 7, iPhone 7 plus, iPhone SE, iPhone 6s, iPhone 6s plus, iPhone 6 Plus/6/5S/5C/5/4S/4/3GS, all iPads and iPod touch 6/5/4. Specially developed for both experts and primary users, Dr.Fone for iOS (both Windows Version and Mac Version) is very easy handling – you can recover deleted files from iTunes backup or directly from iDevice in just three steps. iPhone 7 , iPhone 7 plus , iPhone 6s/6s plus , iPhone 6/6 Plus , iPhone 5S/5C, iPhone 5, iPhone 4S, iPad Pro, iPad Air(2), iPad Mini 3, iPad mini with Retina display, iPad mini, iPad with Retina display, iPad 3/2, iPod touch 5 Text content: Messages, Contacts, Call History, Calendar, Notes, Reminders, Safari Bookmark, WhatsApp History , App Documents Accidently deleted files on your iOS device.The device is locked by a forgotten password, and the device was connected to iTunes on the computer before. iPhone 4, iPhone 3GS, iPad 1, iPod touch 4 Text content: Contacts, Messages, Call history, Calendar, Notes, Reminder, WahtsApp History , Safari bookmark, App Documents Media content: Camera Roll, Photo Library, Photo Stream, Voice memos, Message attachments, WhatsApp Attachments , Voicemail , App Photos , App Videos Accidently deleted files on your iOS device.Your device is crashed, smashed or broken.The device is locked by a forgotten password. With the Dr.Fone for iOS, you can easily recover files directly from iDevice or from backup files in your iTunes & iCloud. The Dr.Fone for iOS ( both Windows Version and Mac Version) supports many file types including Text Messages, apps, photos, music, contacts, calendars, call history, reminder, notes, camera roll, Safari bookmark, voice memos, photo stream, voicemail and important data from Flirc, WhatsApp, Kindle, iMovie, Keynote and more other apps. To ensure that the selected files are what you need, you can preview them with the built-in player before clicking the button “Recover”to recover lost data from iDevice or iCloud. 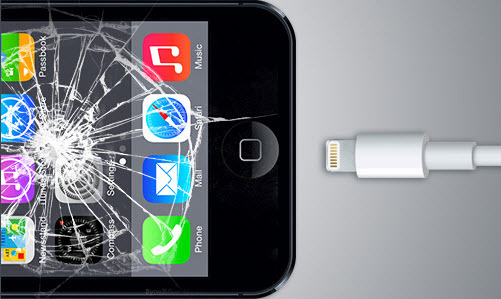 When your iPhone, iPad or iPod touch stuck in Recovery Mode, Apple white screen of death, or just perform abnormally, you can use Dr.Fone’s outstanding Repair Operating System feature to have it fixed with less than 10 minutes. I was able to recover exactly what I was looking for! Love it !!! its great software to recover your lost data. Also even good to see what your girl deletes and keeps on her phone..women can be really sneaky…must have program!! This helped me get out of being stuck in recovery mode for HOURS! I was going crazy, thank you so much!! Thanks for developing such a great tool, it saved me! It’s a very good product I was impressed by a lot has strongly advised me where I thank the genius who has the inception of you and all the appreciation and thanks. Wonderful and very special program! Recovered a lot of memories,thank you. After failure upgrading my iPhone 6 to iOS 9.3.2 and cause erasing all data,I want get them back as soon as possible. I’ve tried this iOS Data Recovery software. 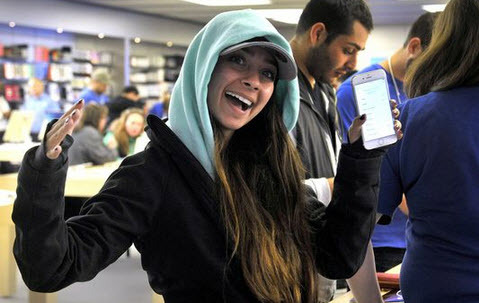 It finds all lost contents back from my iPhone 6, as well as many other older photos and videos.I often use iTunes to synced my iPhone data,it can help me extract and restore previous contacts and messages from iTunes.